An incredible celebration as New Orleans marks its 300th Birthday too . A Grande Haute Creole Dinner in honor of Commander’s Palace Reataurant 125th Anniversary – extraordinary dinner under guidance of Chrf Tory McPhail . 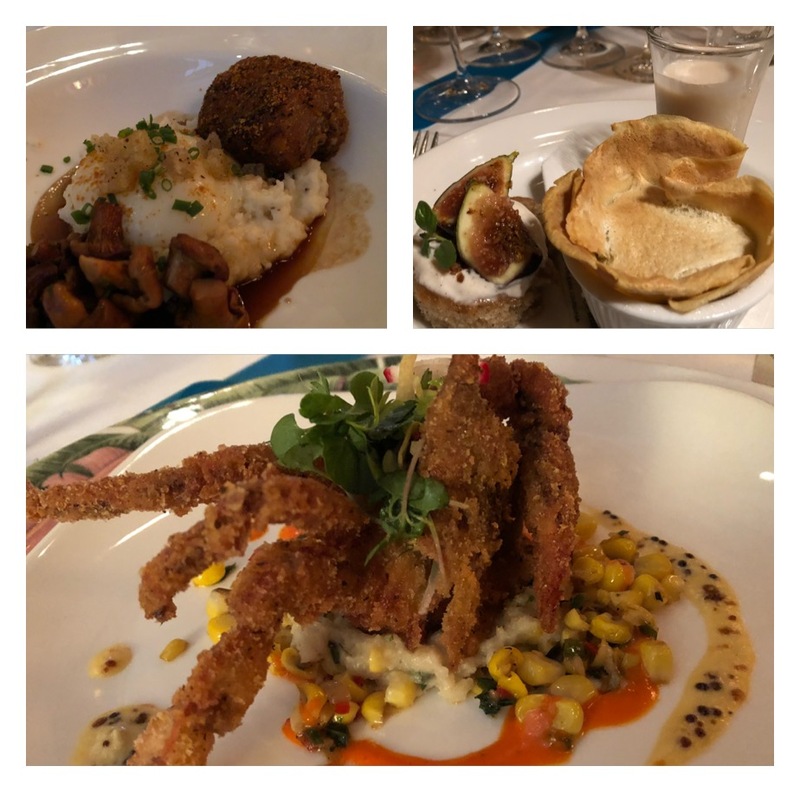 Menu included Soft Shell Crab, House Cured Hog Jowl with grits, American Squab and Creole Cream Cheese and Whiskey soaked figs.